What If the U.S. 'Pulls the Plug' on Afghanistan? The U.S. may be approaching a crucial decision concerning its military involvement in Afghanistan. Secretary of Defense James Mattis says U.S. activity there won’t end anytime soon. The question is, will President Trump stick with a plan that does not promise victory? First, understand the mission. After 2014, Afghanistan became responsible for its own security. The Obama drawdown removed U.S advisers from regular Afghanistan units. NATO’s Operation Resolute Support started in 2015. Technically, it is a “non-combat” mission where security assistance advisers train and go out on missions with the Afghan Army. When President Trump assumed office, Afghanistan was slowly slipping away while the U.S. focused on not losing Iraq. Taliban and ISIS-Khorasan attacks steadily increased to the point where Afghan forces controlled only about 60% of the country by summer 2017. Secretary Mattis convinced the president to try the same tactics that he’d implemented in Syria: letting the U.S. and other NATO advisers go right up to the battle’s edge with the Afghan forces. There is no chance of military victory over the Taliban. Nor, without a U.S. commitment to withdraw its troops and accept a major share of power for the Taliban, does there seem any serious chance of a peace settlement (the brief truce to mark a religious festival notwithstanding). Nor, with 100 percent of the Afghan security budget and around 60 percent of the civilian budget funded by the United States and other outside donors, is there any chance of the Afghan state standing on its own feet. Financially and militarily, the existing U.S. commitment is sustainable. With U.S. military actions reduced to air support for the Afghan national forces and limited interventions by U.S. special forces, casualties have been vastly reduced. Only four U.S. soldiers have been killed in Afghanistan so far this year, and seventeen in 2017, compared to 496 at the height of U.S. operations in 2010. ‘FIERCE AND WARLIKE’: COULD THE BALOCH SEPARATIST MOVEMENT REMAIN PAKISTAN’S LONGEST INSURGENCY? The average life span of an insurgency is about 10-13 years[i]. Militant groups often succumb to political infighting, military dominance of opposition forces, rejection from local communities, or a combination of the three. Insurgencies tend to have ebbs and flows, but the vast majority are suppressed by governments. This has not been the case in Balochistan. The resource-rich, yet often neglected province in Southwest Pakistan has produced separatist insurgencies for over 60 years. Even with efforts to mitigate conflict through investment and development, Pakistani administrations have generally resorted to military answers. This may suggest the protracted nature of the dispute, and why it might not end in the near future. My aim is to provide a basic overview of the conflict, and describe what the insurgents and counterinsurgents have done well, and what they have done poorly. In doing so, one may see the various dimensions of the conflict and possibly obtain lessons to improve counterinsurgency (COIN) operations. Like the devil quoting scripture, China has said that it hopes that India and Pakistan can jointly stay committed to regional peace and development. 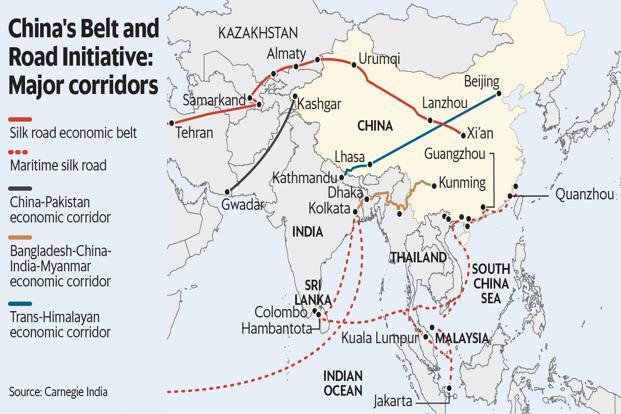 Many would wonder as to whether China has the credentials to make such statement and observation, since China itsef has disputes with several neighboring countries like India, Philippines, Japan, and Vietnam. There is widespread apprehension among China’s neighbors that China has expansionist ambitions, which is clearly evident from the fact that China forcefully occupied Tibet and is now controlling this nation for over sixty years. No one can forget the fact that Chinese government mercilessly used force and carried out aggression in Tibet, making the Dalai Lama flee Tibet along with several Tibetans. Now, thousands of Tibetans are living as refugees and migrants in different countries in the world, longing for a day when Tibet would become a free country once again and they can go back to their motherland. Despite its lack of cohesiveness and geopolitical heft, the 10-member Association of Southeast Asian Nations likes to be in the driver’s seat even on initiatives that extend beyond its region. But having placed itself at the wheel, Asean usually needs instructions from back-seat drivers on how to proceed and where to go. One such example is the Asean Regional Forum, which provides a setting for annual ministerial discussions on peace and security issues across the Asia-Pacific. Established in 1994, it draws together 27 member-states, including key players such as the United States, China, India, Japan, Russia, Australia and the two Koreas. It was a prime candidate for overhaul. China Unicom's former chairman, Chang Xiaobing, was found guilty of taking bribes and sentenced in May to six years in prison. And by some important financial measures, China Unicom's performance has been catatonic. Its return on equity -- a key indicator of overall efficiency as well as a yardstick of how much net profit a company returns to shareholders -- has been below 1% in recent years, compared to a global industry average of about 19.5%, according to an analysis of QUICK-FactSet data on 47 telecom operators. BEIJING (Reuters) - China’s propaganda work has been “absolutely correct” and those who work in the field should be trusted, President Xi Jinping told top officials, amid domestic criticism China has messed up its messaging over a trade dispute with the United States. The growing trade conflict is causing rifts within China’s Communist Party, with some critics saying that an overly nationalistic Chinese stance may have hardened the U.S. position, sources close to the government have said. But speaking at a major meeting of senior propaganda officials, the first such gathering in five years, Xi said that since the previous Communist Party Congress, in 2012, propaganda efforts had been successful and made great strides. “Superior traditional culture has been widely promoted, mainstream public opinion has been continuously consolidated and expanded, cultural self-confidence has been highlighted, national cultural soft power and Chinese cultural influence have been greatly enhanced,” state media cited Xi as saying in a report late on Wednesday. Russia´s Return to the Middle East: Building Sandcastles? The eleven essays in this publication explore how Russia has expanded its footprint in the Middle East and North Africa over the last decade, what is driving Moscow’s return to the region, the sustainability of this engagement and more. To do so, the essays focus on 1) Russia’s approaches to the Middle East in the military, arms sales, energy and economic spheres; 2) Russia’s relations with Syria, Israel, Turkey, Iran, North Africa and the Gulf Cooperation Council (GCC); and 3) Moscow’s military campaign against the so-called Islamic State. The Prime Minister finally found time after his vacation to visit Toronto on the Danforth and place a bouquet of flowers at the makeshift memorial for 18-year-old Reese Fallon and 10-year-old Julianna Kozis, who died in the mass shooting July 22 by Faisal Hussain. For some reason Justin Trudeau could not condemn the actions of the Pakistani-Canadian who spread terror in our city. Instead the P.M. called for “a time of compassion” among all of us. Compassion? For whom? For the dead? The dead don’t need compassion; they need justice and the truth. So was Trudeau calling for “compassion” towards mass murderer Faisal Hussain? Is it possible he was influenced by the spin doctoring of those promoting the theory the killer’s actions were exclusively the result of mental illness? FireEye has identified a suspected influence operation that appears to originate from Iran aimed at audiences in the U.S., U.K., Latin America, and the Middle East. This operation is leveraging a network of inauthentic news sites and clusters of associated accounts across multiple social media platforms to promote political narratives in line with Iranian interests. These narratives include anti-Saudi, anti-Israeli, and pro-Palestinian themes, as well as support for specific U.S. policies favorable to Iran, such as the U.S.-Iran nuclear deal (JCPOA). The activity we have uncovered is significant, and demonstrates that actors beyond Russia continue to engage in and experiment with online, social media-driven influence operations to shape political discourse. A U.S. push to include agricultural products in its trade negotiations with the European Union would lead to frictions between Germany and France that would reduce the chances of a deal. France will persist with its plans to reform the European Union, but countries in Northern Europe will present a common front to tone down or postpone many of Paris' proposals. Italy's expansive economic reforms will raise questions about its commitment to keeping a balanced budget, which could generate volatility in the financial markets. Politicians will replace technocrats and take control of the Brexit process, creating room for compromises between the European Union and the United Kingdom. But this could come at the price of incomplete deals that postpone solving problems. The secret to U.S. President Donald Trump’s successful foreign policy, he often claims, is his knack for cutting a great deal. A real estate mogul and author of several books about the art of negotiations, Trump made dealmaking a central theme of his 2016 campaign. He blasted international agreements negotiated by his predecessors as the “worst deals ever” and claimed that he could do a far better job on behalf of the American people. After decades of “losing” on trade and being cheated by free-riding allies, the United States would finally have a leader willing to “put America first.” Trump would not hesitate to make more ambitious demands and confront adversaries and allies alike. And instead of paying the bills for some notional liberal international order, he would leverage the United States’ immense financial and military power in the name of driving harder bargains that would serve the national interest. President Donald Trump has just signed a new bill to expand federal powers of the Committee on Foreign Investment in the United States (CFIUS) to investigate and block Chinese and other foreign investments on national-security grounds. Earlier this month he signed the National Defense Authorization Act (NDAA) for 2019, which singles out Russia and China as America’s long-term competitors and includes a number of provisions on espionage and military containment. These, along with the latest round of State Department’s sanctions on Russia for poisonings in the UK, are all part of recent American efforts to come to grips with growing foreign interference in western democracies. Like countries, academic fashions rise and fall. The current interest in geoeconomics – using economic power and leverage to pursue geopolitical goals – is classic example of this possibility. It is no coincidence that the rise of geoeconomics mirrors the rise of China. Rather revealingly, no one paid much attention to geoeconomic influence when it emanated primarily from the United States. The very different ways in which much of the scholarly community thinks about American and Chinese economic influence not only highlights the continuing dominance of “Western” scholarship in this area, but it also explains why so many policymakers in the West continue to support the U.S., despite the impact of the Trump administration. Information has a critical place in warfare. It is at once the source of both intelligence and the fog of war. Information is a nebulous infinite set from which we draw our frameworks, biases, and facts. The growing surfeit of data has led to proclamations that “data is the new oil” and even the idea that the information extracted from this data constitutes a kind of currency. At the tactical level, the intelligence born out of information preparation certainly constitutes a means of transacting operations. Yet beyond the battlefield, and into the realm of grand strategy, the utility of information can be uncertain. Predictions of the end of history were premature, and the triumph of liberal democratic ideals seem indefinitely postponed. Instead, after a short post-Cold War interregnum, global affairs have returned to their historical norm, as great powers compete for influence and seek to impose their will on the global order. 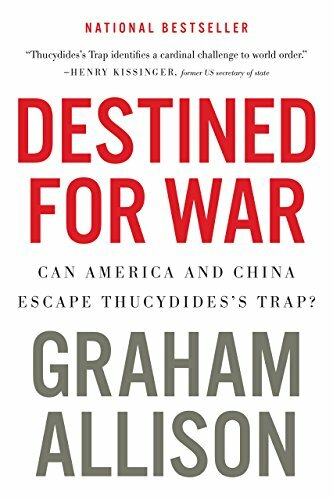 So little has changed, in fact, that one of last year’s most influential books—Graham Allison’s Destined for War—reaches back 2,500 years to view the growing competition between China and the United States through a Thucydidean prism. Such a viewpoint has much to commend it, but it is, unfortunately, a narrow historical aperture through which to try and comprehend the many complexities of an enduring competition between rival powers. As America’s new National Security Strategy and National Defense Strategy spell out, inter-state strategic competition, not terrorism, is now the primary concern in U.S. National Security. As such, policymakers must demand a better and more encompassing historical analysis than Allison provides. Abstract - The malaise that the United States, and the West, have experienced in recent campaigns stems in large part from unclear thinking about war, its political essence, and the strategies needed to join the two. Instead, analysis and response are predicated on entrenched theoretical concepts with limited practical utility. The inadequacy of understanding has spawned new, and not so new, terms to capture unanticipated trends, starting with the re-discovery of “insurgency” and “counterinsurgency” and leading to discussion of “hybrid threats” and “gray-zone” operations. New terminology can help, but the change must go deeper. Challenging analytical orthodoxy, this article sets out a unifying approach for the study of political violence, or more accurately: violent politics. It provides a conceptual foundation that helps to make sense of recent shifts in warfare. In effect, it offers sorely needed theoretical insights into the nature of strategy and guides the process of responding to nontraditional threats. In August 2015, the Ukrainian Ministry of Defense officially launched a comprehensive effort to overhaul the country’s armed forces as conflict razed through the country’s Donbas region. Three years later, fighting capabilities have reached their highest levels since independence in 1991. Yet, Ukraine’s security problem persists, as its military potential remains vastly inferior to that of its primary adversary: Russia. This deficiency would not be so great had Ukraine not renounced its nuclear weapons in 1996 under the Budapest Memorandum’s security guarantees—or if the country had a clear prospect of joining the North Atlantic Treaty Organization (NATO). However, as neither of these options exists today, Ukraine must rely on its own conventional forces. New technologies have brought about new opportunities and threats to military strategy. Historically, the United States has been able to outpace its adversaries by providing elegant and expensive solutions to address the most severe threats while allowing the capabilities to maintain an advantage in likely employment scenarios. In the past 20 years, the United States has moved from highly specialized weapon systems to multi-mission weapon systems to reduce the number of assets required to perform similar tasks and to reduce manning requirements. As new technologies have emerged, however, U.S. adversaries have used high numbers of low-cost solutions—such as improvised explosive devices—that require inordinate resources to defeat. 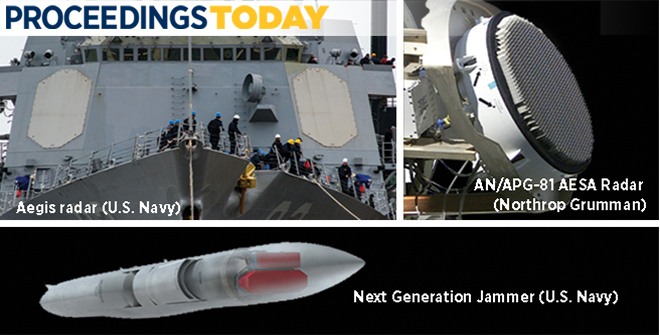 There are three advancements in technology that, when combined, are game changers for U.S. military effectiveness. A recent report of the 2017-2018 Parliamentary Standing Committee on Defence (PSCOD) has revealed that India’s defence services are facing a severe resource crunch. Given the enormous amount of money that the country is already spending on defence, the chances are slim that the government will come up with the significantly higher amounts of funds needed for modernisation. Meanwhile, the armed forces are facing obsolescence in equipment. The way out is a systematic and deep reform of the organisation and better management of the defence system—these, in fact, have been recommended by various expert groups and the PSCOD over the past two decades. SAN FRANCISCO — Facebook said on Tuesday that it had identified multiple new influence campaigns that were aimed at misleading people around the world, with the company finding and removing 652 fake accounts, pages and groups that were trying to sow misinformation. The activity originated in Iran and Russia, Facebook said. Unlike past influence operations on the social network, which largely targeted Americans, the fake accounts, pages and groups were this time also aimed at people in Latin America, Britain and the Middle East, the company said. Some of the activity was still focused on Americans, but the campaigns were not specifically intended to disrupt the midterm elections in the United States, said FireEye, a cybersecurity firm that worked with Facebook on investigating the fake pages and accounts. The operations “extend well beyond U.S. audiences and U.S. politics,” FireEye said in a preliminary report. The U.S. Army is designing its future fighting force around sophisticated unmanned systems designed to work with the service's manned combat vehicles and aircraft. But the service's vice chief of staff warned today of the dangers of depending too much on drone technology. For nearly a year, the Army has been deeply focused on its new modernization strategy, an effort that promises to produce next generation combat vehicles and future vertical lift aircraft that will team with unmanned systems. The concept is designed to give commanders the option of sending unmanned systems into harm's way before taking unnecessary risks with soldiers' lives. "We are looking very carefully on the ground and in the air on how we continue to progress with the manned-unmanned teaming," Gen. James McConville said at the National Defense Industrial Association's 2018 Army Science & Technology Symposium and Showcase in Washington, D.C. He added that the concept would give combat units a distinct advantage when operating in places like Sadr City, a densely-populated suburb of Baghdad that U.S. forces struggled to secure during the war in Iraq.